What a day at the El Capitan. Marvel blew everyone away and all they really did was announce one new actor for their movies and show a bunch of title cards. But it’s how they did it that got the crowd and the internet hyped. Indierevolver EIC, Jay, hit the nail on the head when he told DC and Warner Bros that this is how you announce your upcoming film schedule. You don’t do it on an investor conference call as “Item number whatever on today’s docket.” You need some pomp and circumstance, some pizzazz, some flair. But now that the smoke has cleared and we’ve all had a day to digest the information, it’s time to look at what Marvel’s Phase 3 announcements are going to bring us. 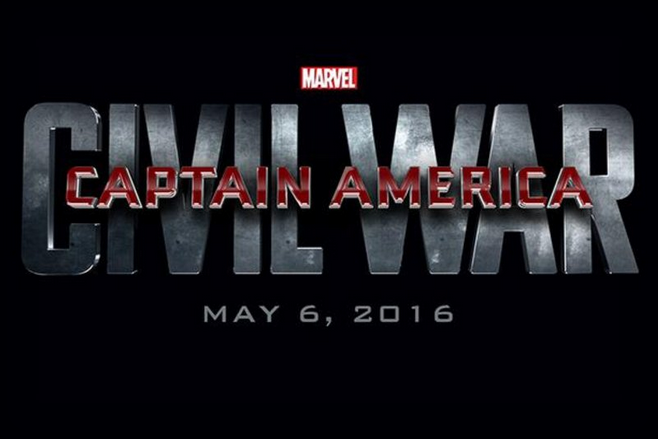 First on the agenda is Captain America: Civil War. It was officially announced that Black Panther will debut in costume in this film. Other than that it’s all up in the air come May 16th 2016. The good odds say that this film will showcase a battle between the heroes over some kind of government registration, much like the comic book storyline of the same name. Some will be for it, some will be against it and it will be all out war. The Doctor will see us on November 4th because next is Dr. Strange. While it has yet to be made official it’s all but confirmed that Benedict Cumberbatch will play the good doctor. With horror director Scott Derrickson set to helm this feature I expect a good mix of super heroics and creepy terror. I’d love to see them explore the many different realms that the Master of the Mystic Arts has to defend us from. After that we get Guardians of the Galaxy 2. This was no surprise as it had already been announced during the opening weekend of the first GotG film. Marvel already had this one ready to go, but the runaway success of the first weekend and rave reviews forced their hand. They struck while the iron was white hot and made the announcement of a sequel. Originally set to come out July of 2017 it has since been pushed up to the beginning of May. This shows tremendous faith in the franchise as this film is now set to jump start Marvel’s summer. James Gunn will return to direct and the usual band of misfits that comprise the Guardians should return as well. Dropping in July will now be Thor: Ragnarok. We can assume that we’ll get the same cast that we’ve had from the first two films. No director has been named as of yet. With a subtitle that references the last days of the Norse gods I can only surmise that this won’t end well for everyone. This may have been the plan from the get-go though. With the possibility of the Asgardians dying, this takes out a very heavy hitter before the arrival of Thanos. Or they could possibly be referencing the Thor clone named Ragnarok from the “Civil War” comic story who is Thor’s equal in almost every area. Either way it doesn’t look good for the God of Thunder. November of 2017 will bring us the solo Black Panther film. Acquiring Chadwick Boseman’s services as King T’Challa was a masterful move. Boseman is hot in Hollywood right now, coming off highly praised performances as Jackie Robinson in 42 and James Brown in Get On Up. As I stated in a previous article a political thriller in the vein of Captain America: The Winter Soldier would be the right way to go for this project. 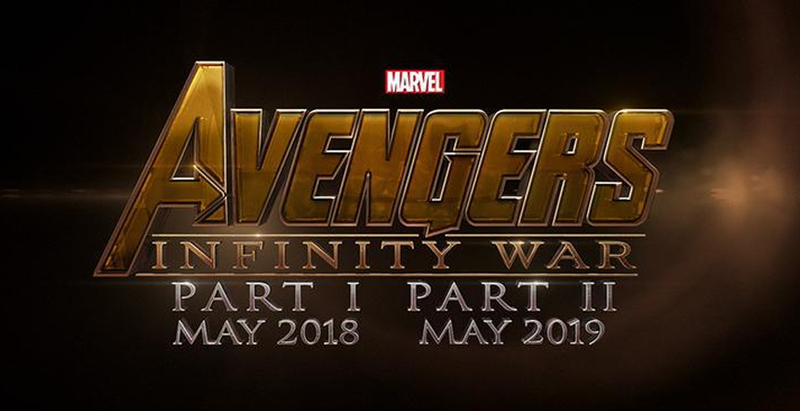 Now we come to what the fans have so patiently waited for: Avengers: Infinity War. Split into two separate movies, this will no doubt contain the showdown between Thanos and all of Earth’s heroes. With Part 1 set to release in May of 2018 and Part 2 out May of 2019, this is the major event in the Marvel Cinematic Universe that has been over a decade in the making. The teaser trailer at the press conference showed us the mad Titan in possession of the Infinity Guantlet, a glove that holds powerful artifacts in gem form that can alter reality to the wearer’s whim. This could get ugly. Between parts 1 and 2 of the Avengers: Infinity War saga will be the Captain Marvel movie. Marvel’s first female superhero movie will star the character of Carol Danvers. While there have been a few Captain Marvel’s in the history of the MU, choosing Danvers shows us where the studio execs may have their thoughts at. Danvers was pro-registration during “Civil War” and is a government trained soldier. We may get an unannounced cameo from her during the third Captain America movie. Also sandwiched in there will be an Inhumans film. The Inhumans are a race of beings who mutate themselves into more evolved life forms with the help of something called Terrigen Mists. It can only be speculated as to how they will fit into the overall scheme of things at this point in the release schedule. Will they somehow affect the outcome of the Infinity War? Or will this film stand alone for the time being, giving us a glimpse of the world to come after the second Avengers: Infinity War film? We’ve seen quite a few of the Infinity Stones so far, only not in stone form. The Tesseract originally seen in Captain America: The First Avenger, being the most famous of them so far, is a highly sought after prize. The aether from Thor: The Dark World and the power stone in Peter Quill’s orb in Guardians of the Galaxy are two others. Marvel Studios president Kevin Feige confirmed during the press conference that Loki’s staff is another Stone. With two more left to uncover the real questions begin to surface. Will we see another Infinity Stone in the Dr. Strange movie? How will Thanos come into possession of them? Will the Ragnarok subtitle mean the end of the gods in Asgard because Thanos is coming for the Tesseract? Curiously absent were mentions of a Black Widow or Hulk solo film. While these characters have been referred to as linchpins of the Avengers franchise, there are currently no plans to give them their own spotlight movies as of yet. Leaving the Hulk out in the cold is understandable. After the “meh” reaction to Ang Lee’s film and the fact that Ed Norton’s turn starring in Incredible Hulk didn’t exactly set set the box offices ablaze, I get why Marvel Studios is hesitant to fund another Hulk feature. But that leaves poor Mark Ruffalo, who did an awesome job in the first Avengers film, twisting in the wind. Having no Black Widow film is ridiculous to me. Kevin Feige danced around this topic like the ballerinas in the Age Of Ultron trailer. He reasoned that telling a prequel origin story or taking her off on her own right now would actually ruin the forward momentum that the Universe has worked so hard to create. I do hope that we get Scarlett Johansson in her own movie sometime soon. Also conspicuous by his absence is Iron Man. No solo film? Interesting. We have heard that Robert Downey Jr. has no interest in continuing the Iron Man franchise, but that he would not be opposed to resurrecting the character in other Marvel movies. He’s a lock for Captain America: Civil War. Could we see him try to conquer his fear of space and join up with the Guardians? Or will he stay on Earth and help lead a new regime of government-regulated superheroes like in the comics? Or will they flip the switch and have Tony Stark lead the anti-registration side? Is the reason he doesn’t get another film because he has to go into hiding as a fugitive from the law? So many questions! Whatever the case may be, there’s no denying it’s a great time to be a Marvel movie fan. This entry was posted in Breaking News, Film, Marvel and tagged Avengers, Avengers: Infinity War, Black Panther, Captain America: Civil War, Captain Marvel, doctor strange, Guardians of the Galaxy, Infinity War, Inhumans, Marvel, Marvel cinematic universe, MCU, Thor: Ragnarok. Bookmark the permalink.